Toronto - I need you to promise me that you will NEVER stop making good new noisy grunge sludge punk bands. Will you promise me that? Shhh. Say nothing, you fine Canadian city. Your silence tells me we’ve got a deal. The Beverleys are three hard-playing ladies (Joanna! Susie! Steph!) who continue Toronto’s shred streak of late (which again, I hope never ends). Their punk hits heavy and it hits fast. These three will blitz you with tight straight jabs, solid right hooks, and a super quick juke step fast enough to elude even the swiftest of listeners. Boom. Boom. Combo. Attack. BAM. You’ll be on the ground looking up before you even know what you hit you. And you’ll thank The Beverleys for the knockout. Because this isn’t fighting music. This is fun. Who doesn’t like to get ripped and destroyed every now and then? I’ve recently written about several about other solid Toronto punk bands who enjoy flooding your ears with sweet, sweet decibel destruction similar to this. So there’s really no need to mention any of their names again. Just kidding! Haha! I love linking to my previously written band profiles! 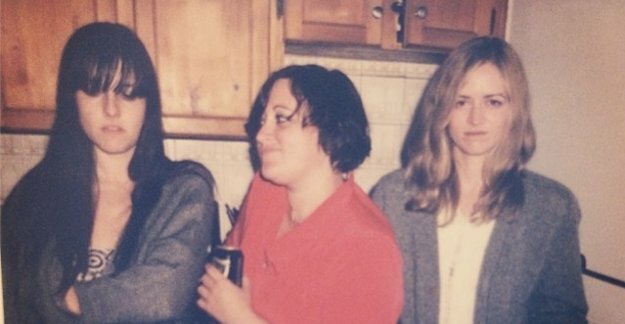 The Beverleys come from the line of Greys (did we ever tell you about our CMJ 2013 show they played and slayed?) and HSY (Buzz Records labelmates and current touring pals - in this, the Year of the Purdue Wonderchicken) and The Dirty Nil (ok, they’re from an hour outside Toronto - but I’m gonna go ahead and say that counts - because it fits my theme better - and since when did fudging data ever hurt anybody?) and PUP (did we ever tell you about our CMJ 2013 show they played and slayed?)(echo! echo!) and, of course, METZ (did we ever tell you about our CMJ 2012 show they played and slayed?)(pushing! envelope!) and, well, let’s stopping naming other bands now. It’s getting ridiculous. This thing is supposed to be about The Beverleys. Not their neighbors. Go ahead and give this band a listen. Here’s a song for you. Sourced all by myself. (Made it, Ma! Top of the world!) It works best if you blast it. And more importantly, go see The Beverleys play (and slay). You might want to first consider placing some pillows on the floor in the area immediately around you, though. They’ll help cushion that knockout. There's no reason to get hurt out there. Punk is supposed to be fun.